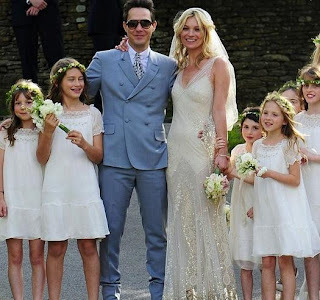 Typically a bridal party consists bridesmaids, groomsmen, maid/matron of honour, best man, flower girl(s), page boy(s), bride and groom. And who can blame them! 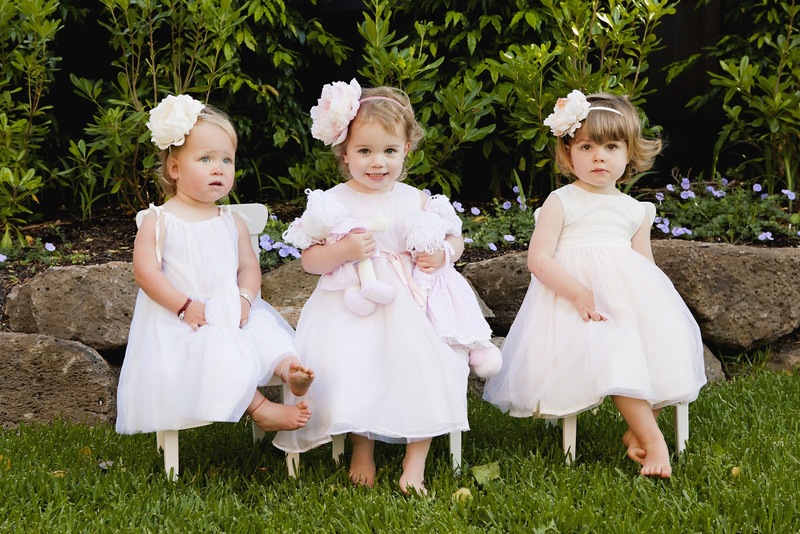 I had 2 bridesmaids, a flowergirl and boy that was hard work! One of my bridesmaids who shall remain nameless constantly missed pre-arranged fittings, wasn't happy with the design of the dresses or shoes or hair and constantly made scenes. Mind you I paid for everything, they didn't pay for a single thing! To top it off the day before my wedding, I booked the hairdresser to set their hair in rollers and we couldn't find her anywhere! She went to a music festival and simply forgot, while I was sweating bullets! Life is so much simplier with the little ones... We have them come in the shop all the time to get their flowergirl dresses and they are so so happy! 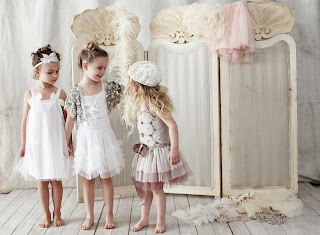 Their enjoyment of just wearing a beautiful dress is inflectious! 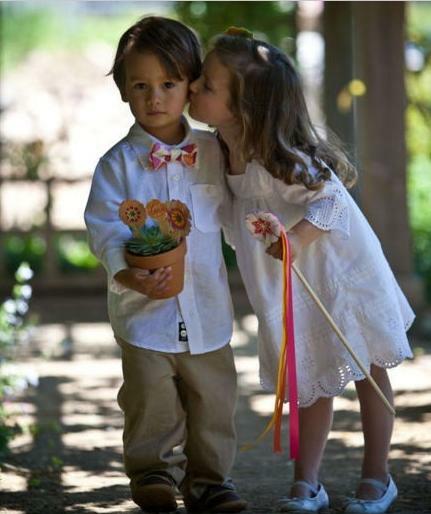 As for the little boys, we have dressed so many in a nice shirt with cool linen pants or shorts. Elegant and versatile! Why wouldn't you just want the little people to be by you on your special day. Another thing about having only little ones is that you have so many different options, you can go dressy, boho, beachy at a fraction of the cost of the bigger girls and boys! Think of how much you need to spend on bridesmaid dresses or suits! 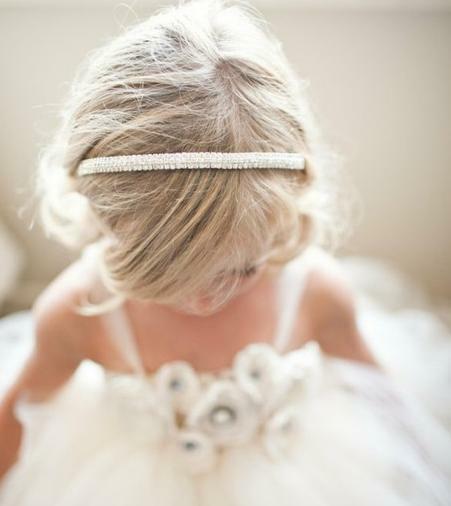 A flower girl will typical walk in front of the bride to help the bride make her entrance. 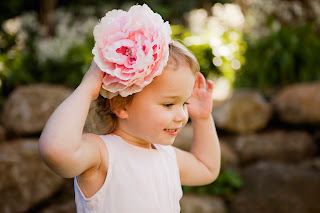 Spreading flower petals on the floor, and whether she is wearing feathers in her hair to compliment her Tutu Du Monde dress or a flower Little Bowtique headband to go with her One Red Fly dress, that little ball of cuteness will no doubt capsure many hearts! 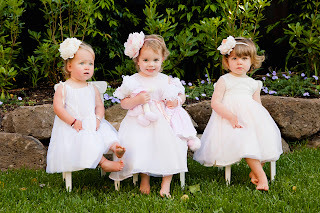 How sweeeeeeeeeeeeeeeeeeeeeet, so cute babies wearing such wonderful flower girl dresses.